The First Day of this week brought turmoil in the Denim Industry when one of the largest retailer in the Global Denim Industry- VF, announced their plans to spin out its denim brands into a separate public entity with an objective to focus in a better way on its faster growing and more profitable brands including The North Face and Vans. However the air is still not cleared – is this merely a spin off or is the first step towards paving the way for the sale of denim business. The two companies will include VF Corp., which apparel and footwear brands include Vans, The North Face and Timberland, and a company not yet named that will include VF’s jeans and outlet businesses. VF owns over 20 brands and out of which Wrangler and Lee are those brands which have been planned to be allocated to a new and separate publicly traded business. Is this because Athleisure bringing more revenue over Denim? Or there are other reasons to it ? 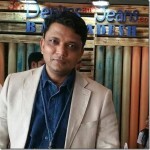 The market has expressed many conjectures over this and many reports suggest that this might lead to the permanent exit from the denim business after sometime. “Our Jeans platform is a successful, sustainable business with iconic global brands and a clear path to value creation as a standalone entity,” said Chief Executive Steve Rendle. Separately, VF said it will move its headquarters to the metro Denver area, from North Carolina. This separation might have also planned to allow the denim business to expand its geographic footprint with a sharp focus in Asia, including India and China. The aggressive penetration of other Jeans brands including Zara and H&M in Asia might have somehow troubled VF also as both these brands have been aggresively expanded in past few years. Another reason of this spin off could be because of the fact that denim is losing market share to leggings and yoga pants and According to Wall Street Journal, denim used to account for half of VF Corp’s revenues in the 1980s, but that is no longer the case. In 2016, the company has also sold 7 for all Mankind and Nautica – both were also the denim brands . The new denim company would be based in Greensboro, N.C., the home of Wrangler and the headquarters of the VF corp. will be moving to the metro Denver area, which will have brands including The North Face, JanSport, Smartwool, Altra and Eagle Creek, as well as a Global Innovation Center for Technical Fabrics and a Digital Lab. Movement to Denver is also supposed to be because of better tax breaks. Scott Baxter, who oversaw VF’s jeans division from 2011 through 2015, will be the CEO of the new company, while Rustin Welton will be its Chief Financial Officer, subjected to the completion of this entire spin off procedure. The Lee brand was introduced in 1912 by Henry David Lee, however, Wrangler made its debut in 1947 as western wear, with stiff, blue jeans designed by celebrity tailor Rodeo Ben. The company acquired Lee in 1969 and Wrangler in 1986. The denim business happened to be VF’s core—delivering more than half of its revenue in 2002—until the company began to diversify by adding up other brands in different segments including activewear and footwear. The market value of VFC stands out at $38 billion, and it has been focusing to widen its porfolio by adding more and more lifestyle brands. The recent addition of VANS, The North Face Jackets, and Timeberland boots were very successful and have outperformed in some quarters against the denim segment business. VF’s denim business last year had $2.66 billion in sales and $422 million in profit. The overall U.S. jeans category had total sales of $16.2 billion in 2017, down from $18.8 billion in 2013, according to Euromonitor International. Another denim brands under VF – Rustler and Rock & Republic brands, had also underperformed and the sales of these brands have fallen nearly by 5% since 2015 and the profit by 2%. In the recent forecasts made by VF itself, the company forecasted growth this year for most of its divisions except jeans, however the revenue is forecast to be the same from the last year. US denim industry has not been in the pink of health in recent times. Denim mills like Cone have closed down and many retailers are finding it difficult to compete in these difficult times. It remains to be seen if VF would like to give fresh life to their denim operations through another company or is this the first step towards exit from the denim world !